This entry was posted in Food, Healthy Recipes, Recipes from the Garden, Seasonal Recipes and tagged easy seasonal cooking, seasonal produce, specialty produce, summer dinners, summer recipes. Bookmark the permalink. Thanks Liz! Like I said, I found the oil in my sister’s cupboard. 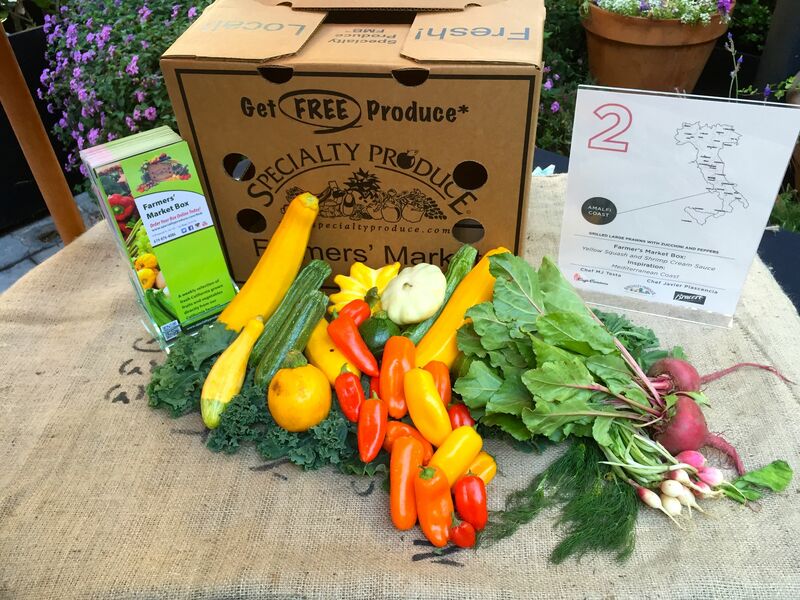 I didn’t know that Specialty Produce did a CSA type box and would be so excited to give it a try! They do, Joann! We have ordered it three times now. I love adding on fresh fish, too. Nothing in the world better than roasted veggies! Thanks, Smitha. I have to agree. This is gorgeous Abby! 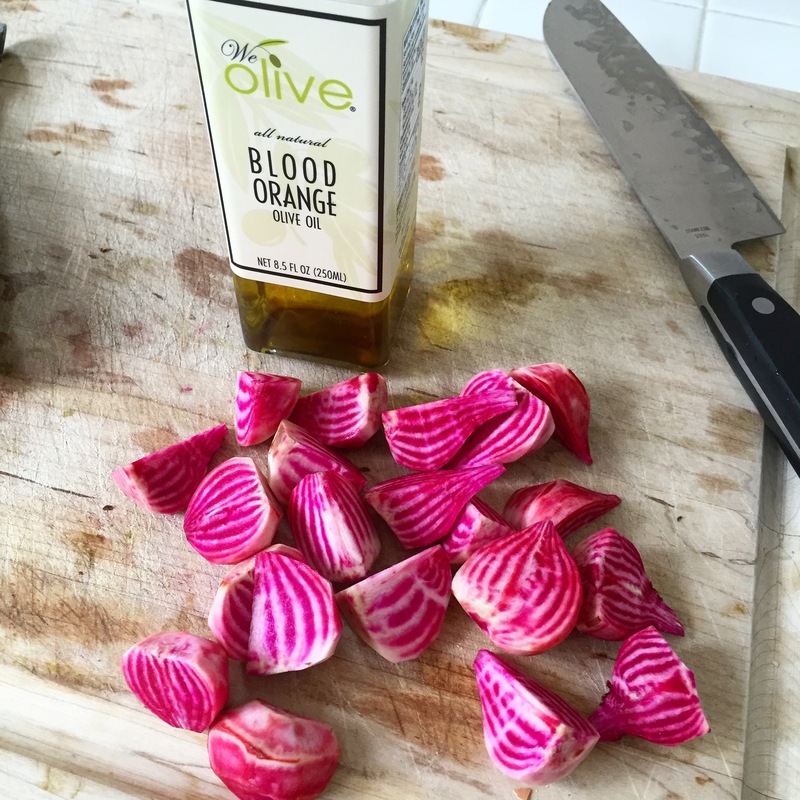 I love the blood orange olive oil from Temecula Olive Oil Company. I make a special to trip to Old Town to get it when I run out. Sooo good. Oooh, good tip for finding it local. My sister lives in the Long Beach area, and I figured hers was from up there. The Temecula Olive Oil Company is great! I have been to their Solana Beach location — it was for Laura Bashar’s book signing. Abby, thanks so much for stopping by my blog, G’day Souffle’. Those beets look so colorful, almost like candy. And I’ll definitely have to track down some of the Blood Orange Oil! Thanks Fran. Don’t they look a little like taffy? Super sweet, too. Abby, what pretty veggies! That oil looks amazing. I tend to limit myself to olive oil but should branch out.